(30.45% of ordinary share capital, 30.09% of preferred share capital and 21.69% of saving share capital. Net revenues of the Group are up 13.8% to €24.3 billion, with double digit growth for all sectors. Agricultural and Construction Equipment (CNH) posted revenues of €13.9 billion, up 16.7% year-over-year (+22.5% in USD terms), with significant volume increases across the board and, for Agricultural Equipment, a more favorable product mix. Agricultural equipment sales were up 17% for the year, with continued positive share performance for tractors in Europe and in the high horsepower tractor segment in North America, benefiting from demand for Tier 4A/Stage IIIB compliant equipment, as well as combines in North America and in the Asia-Pacific region. Construction Equipment sales were 25% higher with growth recorded in all regions; worldwide share performance is in line with the market for both the light and heavy segments. Trucks and Commercial Vehicles (Iveco) reported a 15.1% increase in revenues to €9.6 billion, reflecting a substantial improvement in demand in most major Western European markets, although with signs of a slowdown in the second half, and continued positive trading conditions in Latin America. Total deliveries (including buses and special vehicles) increased 18.3% for the year to 153,384 vehicles, with the light segment up 19.6%, medium up 24.0% and heavy up 21.0%. By region, deliveries increased 12.3% in Western Europe, 28.9% in Latin America and 25.8% in Eastern Europe. Powertrain (FPT Industrial) business achieved revenues of €3.2 billion, up 33.3% on the back of strong growth in volumes to both Group companies and external customers. Trading profit was €1,686 million for the year (trading margin 6.9%), up 54.4% over the €1,092 million profit for 2010 (trading margin 5.1%), primarily on the strength of higher volumes for all sectors. CNH recorded strong performance with trading profit at €1,154 million (€755 million in 2010) and trading margin at 8.3% (6.3% in 2010), as a result of higher volumes, a more favorable mix and improved net pricing. Iveco reported a €490 million trading profit (€270 million in 2010), with trading margin up 1.8 percentage points to 5.1%, primarily on the strength of higher volumes and production cost optimization. FPT Industrial posted trading profit of €107 million, compared to €65 million in 2010, principally reflecting volume growth for the year. Trading margin is 0.6 percentage points higher at 3.3%. The Group closed 2011 with an operating profit of €1,629 million (€1,017 million in 2010). The €612 million increase reflects higher trading profit (+€594 million) and lower net unusual expense (€57 million vs. €75 million in 2010), consisting of €95 million in restructuring provisions recognized by Iveco, net of €38 million in non-recurring income. Net financial expenses totaled €546 million for the year, compared to €505 million in 2010, which included a €45 million one-off charge. Excluding that charge, net financial expenses were up €86 million over the prior year due to a higher opening debt level deriving from the demerger debt allocation (€2.5 billion) and the substantial cost of carry associated with maintaining excess liquidity. Profit before taxes was €1,169 million, compared to €576 million for 2010. The increase reflects the improved operating result (+€612 million) and higher income from investments (+€22 million), net of the €41 million increase in net financial expense. Income taxes totaled €468 million (€198 million for 2010), mainly related to taxable income of companies operating outside Italy and employment-related taxes (IRAP) in Italy (€29 million). The effective tax rate of 40% was in line with expectations. Net profit was €701 million, up significantly over the €378 million profit for 2010. Profit attributable to owners of the parent in 2011 was €624 million (€341 million for 2010). Equity attributable to owners of the parent of Fiat Industrial at December 31, 2011 amounted to €4,555 million compared to €3,987 million at December 31, 2010. At December 31, 2011, consolidated net debt totaled €14,549 million (€12,179 million at December 31, 2010) During 2011, net industrial debt totaling €1,239 million decreased 37% compared to €1,900 million at year-end 2010, due to strong operating performance by all sectors. (1)	At December 31, 2011, includes impact of consolidation (on a line-by-line basis) of Iveco Finance Holdings Limited, a joint venture with Barclays in relation to which a termination agreement was signed at the end of December. (2)	Includes the positive and negative fair value of derivative financial instruments. On January 1, 2011 (the effective date of the demerger of activities from Fiat S.p.A. to Fiat Industrial S.p.A.), Fiat Industrial began operations as a separate and independent entity. On January 3, shares in Fiat Industrial S.p.A. began trading on the Mercato Telematico Azionario managed by Borsa Italiana S.p.A.
On January 5, 2011, Moody’s Investors Service assigned Fiat Industrial S.p.A. a Ba1 Corporate Family Rating and a short-term “Not Prime” rating, with stable outlook. On February 24, Standard & Poor’s Rating Services confirmed Fiat Industrial’s long-term rating of BB+ with negative outlook, assigned on November 4, 2010, and a short-term B rating. In September, in its first year as a listed company, Fiat Industrial S.p.A. entered both the Dow Jones Sustainability (DJSI) World and Europe indexes, ranking as Industry Leader in both. The company achieved a score of 81/100 compared to an average of 49/100 for all companies in its sector (Industrial Engineering) evaluated by SAM (the sustainability investment group). The prestigious DJSI World and DJSI Europe equity indexes only admit those companies judged best-in-class in managing their businesses sustainably, from an economic as well as social and environmental perspective. Sustainability is a key element in Fiat Industrial’s strategic approach. In the Carbon Disclosure Project’s Italy 100 Report, Fiat Industrial was included in the Carbon Disclosure Leadership Index (CDLI) at the top of the “Industrials” sector. It was assigned a score of 84/100 for the level of disclosure on issues linked to climate change and a “B” grade (on a scale from E-worst to A-best) for climate change mitigation. On September 30, the company confirmed its decision to withdraw from Confindustria (the Italian employers’ federation) with effect from January 1, 2012. On December 13, the company announced the signing of a new collective agreement with the majority of trade unions, which is applicable to all Fiat Industrial employees in Italy with effect from January 1, 2012. On October 27, the Board of Directors of Fiat Industrial S.p.A. approved a proposal to Shareholders for the conversion of the company’s preferred and savings shares into Fiat Industrial ordinary shares. If the proposal is approved, all savings and preferred shares will be converted into ordinary shares for the purpose of simplifying the company’s capital structure and governance. Preferred and savings shares will retain any economic rights with respect to the 2011 financial year. Ordinary shares resulting from the conversion would be eligible for dividends (to the extent declared) with respect to the 2012 financial results. During the year, the Group undertook a number of significant initiatives as part of its global development strategy. At the end of March, CNH Global N.V. acquired full ownership of L&T – Case Equipment Private Limited, a 50/50 joint venture established in 1999 with Larsen & Toubro Limited to manufacture and sell construction and building equipment in India. The company (renamed Case New Holland Construction Equipment India Private Limited), which employs around 600 people, operates a production facility in Pithampur in Madhya Pradesh and has a distribution network of 56 dealers and 144 outlets. This investment is an important step in CNH’s long-term commitment to consolidating its construction equipment business in India and other export markets. In April, CNH announced plans to produce combines and tractors in Argentina for the Latin American market. An initial amount of over $100 million will be invested in new production lines and expansion of the Fiat Industrial site in Cordoba, Argentina, and the new plant will generate some 600 direct and 1,500 indirect jobs. At the new facility, CNH, for both of its agricultural brands, will produce the most powerful class of advanced, high-productivity combines, as well as specialized tractors for vineyards and orchards, which CNH does not currently produce in Latin America. These machines will be equipped with locally-produced FPT Industrial engines. In October, CNH announced a strategic alliance with Semeato, leader in agricultural equipment and attachments in the Brazilian market, specialized in no-till grain seeding technologies. Under the strategic partnership, the two companies will collaborate in a variety of areas, further strengthening CNH’s leadership in Latin America. Semeato products will be sold under the Semeato, Case IH and New Holland Agriculture brands through their respective dealer networks. Also in October, CNH entered into an agreement with De Lage Landen, a subsidiary of Rabobank, for the provision of retail financing to customers in the Russian Federation under the CNH Capital brand. The program has become operational from the beginning of 2012 and will be run by a dedicated sales team working closely with four CNH brands – Case IH, New Holland Agriculture, New Holland Construction and Case Construction Equipment – and their dealers and customers. On December 23, CNH has announced an initial investment of $90 million to build a new manufacturing plant in Harbin, in the Heilongjiang Province, northeast China. The new facility will produce high horsepower tractors, combine harvesters and other machinery featuring advanced technology and will expand the Group’s manufacturing base in China, where it currently assembles high horsepower tractors and other agricultural equipment in Harbin, and operates a manufacturing plant dedicated to low and medium horsepower tractors in Shanghai. In May, Iveco and FPT Industrial announced their readiness to meet the new Euro VI regulation by means of a unique Selective Catalytic Reduction (SCR) technology, which will be introduced on the two new Cursor and Tector engine ranges for heavy-duty trucks and buses. The new engines, equipped with FPT Industrial “SCR only” technology, will feature optimized combustion and after-treatment systems to retain Iveco’s class leading vehicle fuel economy with enhanced environmental performance attributable to breakthrough patented control technology which achieves very high NOx conversion efficiency (over 95% versus 80-85% of best competitors). 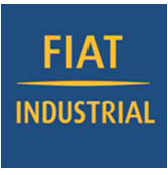 On September 19, Fiat Industrial Village was inaugurated in Turin. The Group’s first ever multi-functional center, it has been designed to showcase the products of CNH, Iveco and FPT Industrial, as well as selling and providing after-sales and financial services for those products. The new facility has a surface area of more than 74,000 m2, of which 23,000 m2 is covered, with a large showroom for exhibiting vehicles and powertrain systems. In December, Irisbus Italia S.p.A. (Iveco sector) signed a collective agreement with national and local trade unions, enabling closure of the Valle Ufita plant and recourse to the extraordinary temporary layoff benefit scheme for all 658 employees for a period of 2 years, commencing January 1, 2012. During the year, Iveco also closed a bus plant in Barcelona. During the fourth quarter of 2011, the Group formalized procedures for orderly termination of Iveco Finance Holdings Limited (“IFHL”), the joint venture with Barclays, which manages the financial services activities (retail and dealer) for Iveco in Italy, Germany, France, the UK and Switzerland. The agreement with the joint venture partner contains an undertaking from Iveco to purchase the 51% interest held by Barclays, subject to receipt of the necessary regulatory approvals, on or before May 31, 2012 at a contractually agreed price (approximately €119 million), in addition to providing funding for IFHL’s activities from January 1, 2012. For retail financing activities, the funding arrangements will be as follows: securitization with Barclays of the portfolio existing at December 31, 2011; vendor program agreements with BNP-Paribas in Germany and France for new financing generated from January 1, 2012; arrangement with Intesa Sanpaolo to fund the future portfolio in Italy; and, direct funding of the portfolio in Switzerland and the UK. For dealer financing activities, funding will be provided through a 3-year pan-European securitization program arranged with Barclays.